Digital isn't going away but many resellers are now beyond adapting and must change to survive. Learn about each of the elements that make up a successful conversion from analog to digital. It's difficult to imagine a business competing successfully in a digital world without a digital presence. Learn about the importance of the website, and the relationship between domain authority, backlinks, and traffic development. Only the Original Equipment Manufacturers (OEMs) have achieved their digital transformation. The rest of the industry has been left behind. Is it any wonder the vast majority of independent resellers have failed to implement digital strategies when their vendors and partners have failed their own? It's easy to put up a website but there's nothing easy about making it "rule" compliant and developing traffic for it to fulfill its role as 24/7 business ambassador. Never forget, 70%+ of buyers research online before they will consider talking to a salesperson. Social media is an increasingly important marketing channel with the average time spent per day over 2 hours per person. Social is not a silver bullet, but it is an increasingly important element of a digital strategy. 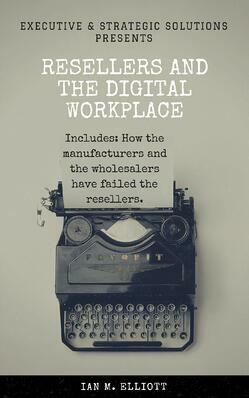 Where must independent resellers start to begin their digital journey?